For most maniacs of book, having a separated space for private library is a big dream and I personally really know this would be a fantastic experience of reading in such space with a dreamy atmosphere. Unfortunately, just a few book nerds have such dream library to accommodate their huge volume of books. But now, allow me to share about ten creative ideas of private library that can be the best solution for book lovers. What a fantastic idea! 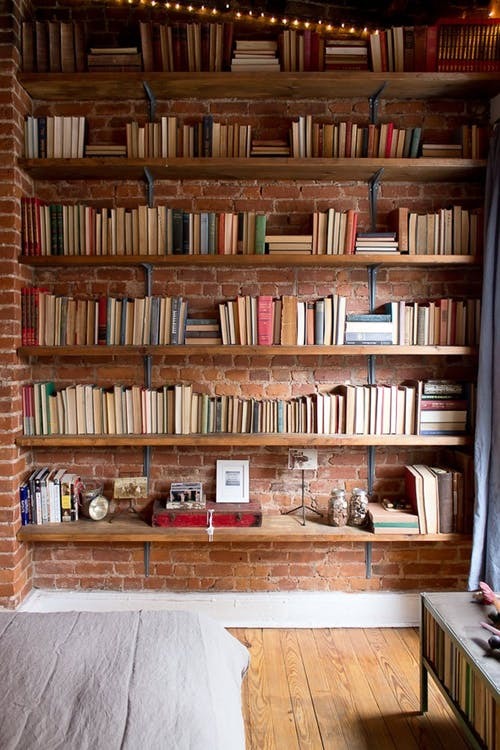 A recessed book shelves with red brick surround. Actually, you can do this by yourself. Just re-use some metal stands and wood panels for supporting your books. 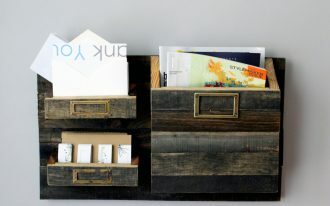 With this simple idea, now you’ve had a grand home library. 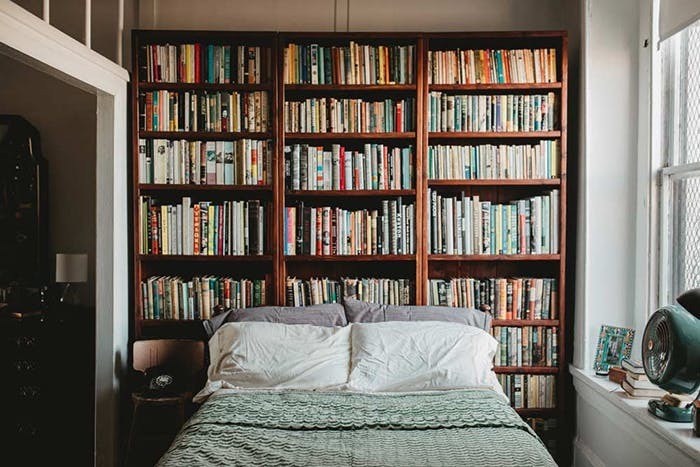 Design Sponge builds a bedroom-library that fits the smallest room. 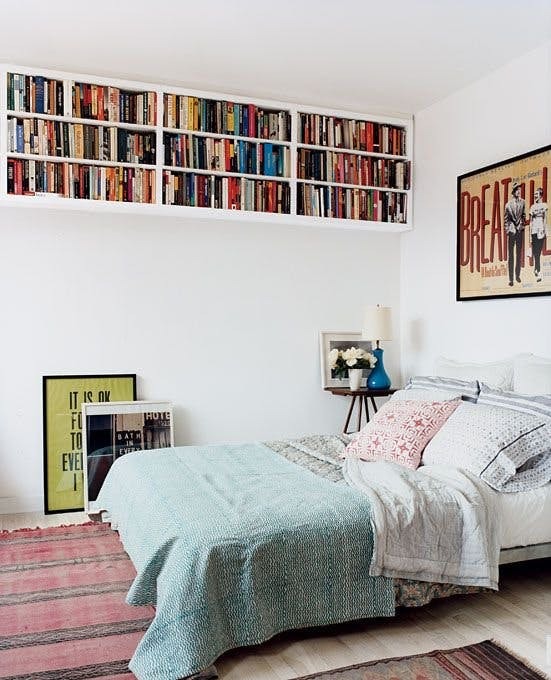 Use a full-size book rack as the headboard. This, of course, makes you super-easy in accessing the books. 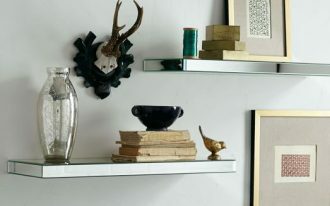 My Domaine has created a unique wall-mounted book rack surrounding the window. This is not only anti-mainstream, but also eye-catching. Colorful bookcovers exposed in room have been a color accent in this white room. 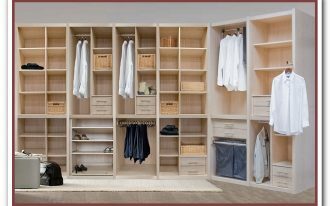 The benefit of wall-mounted bookshelves is at least you can use it for extra volume of books without worrying about the space availability. 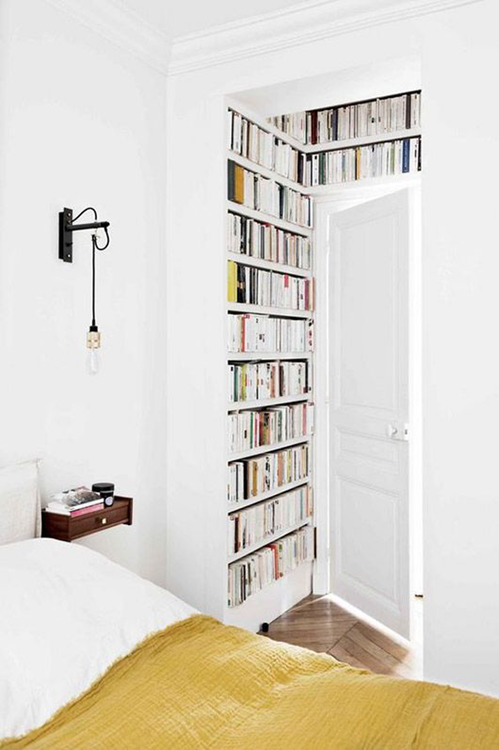 Domino Magazine brilliantly builds the upper wall-mounted bookshelves, but for sure that you have a ladder to access it. 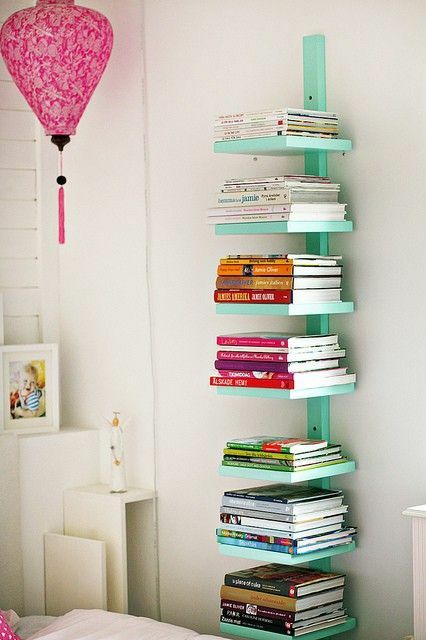 A lovable vertical bookcase. 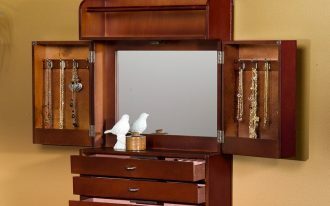 I really love the model that’s space-efficient, slim, and nightstand-like. But be careful if you wanna pick up one book; it would be better if you start taking the top one to get the wanted one. Domino also recommends you a couple of bookcase separating away your bed. 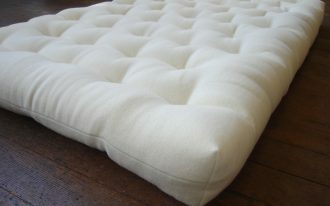 Of course, this would be best solution for you who dream of a cozy-feel atmosphere for both reading and napping. 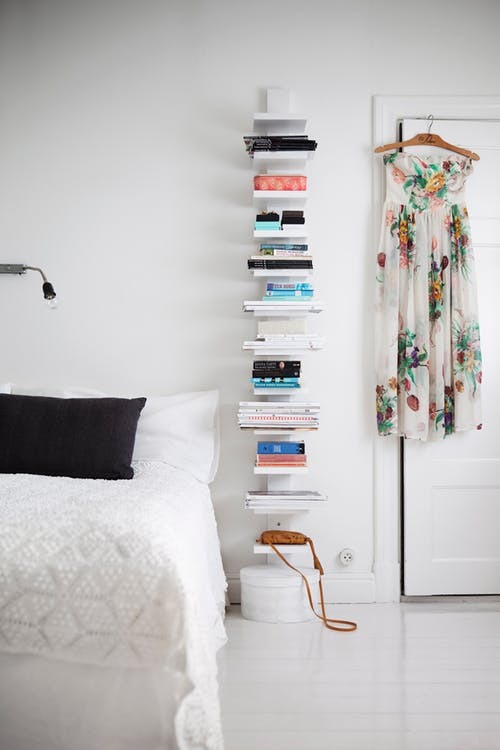 Some lower bookshelves mounted on wall surely can provide a perfect spot for books while creating a minimalist look. 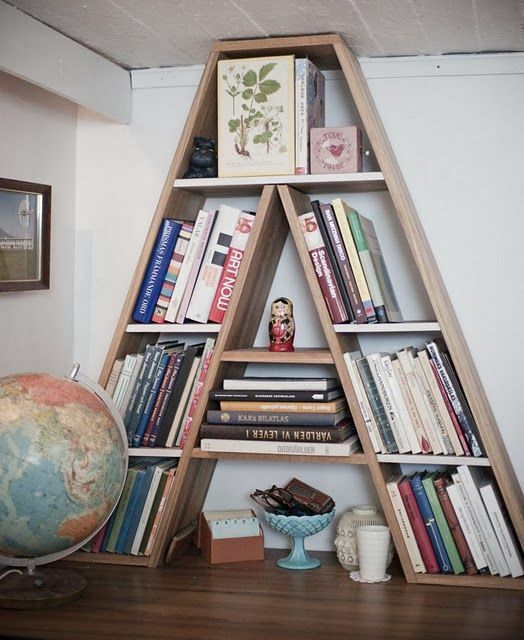 Like this bookshelves idea, the top of bookshelves is very useful for smaller ornaments. Yes, it feels full yet well-organized. 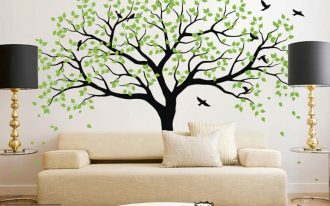 This spot is recommended for relaxing while reading some favorite books. The place allows you to get a lazy-time for hours with your books. I’m so interested in how Inside Out designs this mini library. The library contains the shelves that line the alcove. 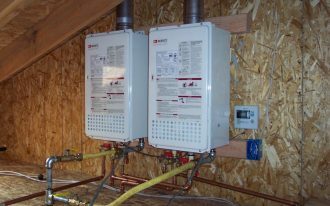 This is a proof that the shelves could be possibly installed in the small spaces. Creative! 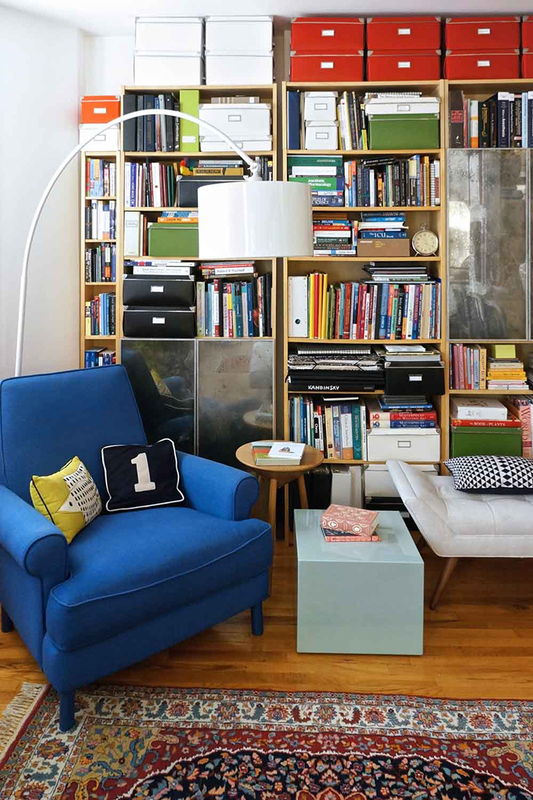 Modern design for modern kids – this is a brief look of vertical bookcase designed perfectly for space-efficient use. 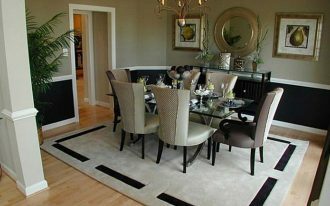 The physical model offers unique & contemporary style. Overall, this bookcase is clean-line accented by modern trims. A-shaped bookcase made of wood – This is unique as well as functional. No need any chairs or seats for getting cozier place when reading. Just lay down on the floor, you’ll get different sensation while enjoying your books.